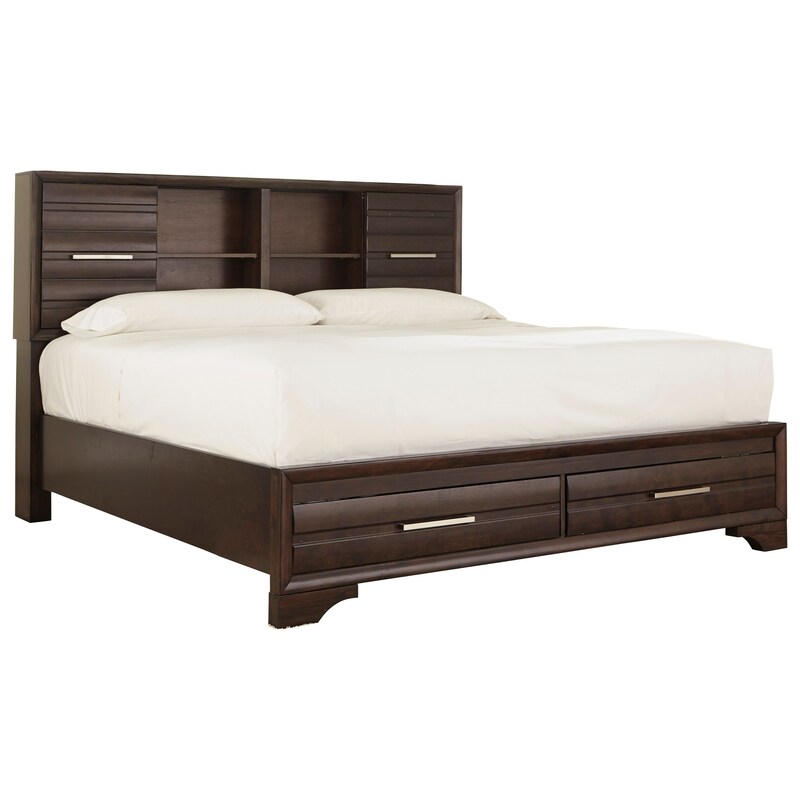 The contemporary style of this bed with a dark coffee finish will become the focal point of your master bedroom. For functionality, the headboard of the bed offers eight cubbies for storage behind two sliding doors. The lower cubbies feature wire management openings to make it easy to keep electronics connected. 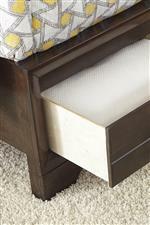 Two footboard drawers add even more space to store belongings. 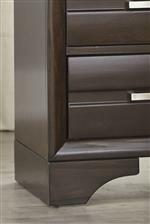 The Andriel King Bookcase Storage Bed by Benchcraft at Miskelly Furniture in the Jackson, Pearl, Madison, Ridgeland, Flowood Mississippi area. Product availability may vary. Contact us for the most current availability on this product.